Noticing how we are in relationship with whatever is arising in our current experience is an important part of our insight meditation practice. 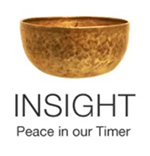 The most fertile time to do this gentle inner investigation is right after meditating when we have actively cultivated clarity and compassion. Whatever thoughts come to mind, we can look at them — the people, the problems, the plans, the situations — and notice if we are judging, blaming, avoiding or treating them as an enemy. Are we caught up in a bitter battle or participating in a joyful dance? Maybe what is arising is a health crisis fraught with worry, pain and self-blame. This was the case for one student in class this week. She was also frustrated that she wasn’t managing to handle it all more graciously. Graciously? Excuse me? We are not white gloved ladies trying to be well-mannered to appease our mothers. How easily we fall into patterns that don’t serve us and how challenging it can be to see them. In our practice we aspire to wise speech which is kind, truthful and timely. That is plenty challenging, but no part of the requirement is to diminish ourselves or to put on a false front for the perceived benefit of others. What is called for is more regular metta practice. With infinite loving-kindness, we hold ourselves in a truly caring way. If this speaks to you — either as something you crave or fear — feel the full power of your innate maternal or paternal self parenting yourself with love and kindness. Even if this is not the kind of parenting you received as a child, you can do this for yourself now. This is not self-indulgent. We all need to be held in this way. We might wish someone else would provide this to us, but waiting for someone else to provide it is like diverting fresh spring water away to another source, thinking it’s more valuable when offered in a cup from the hands of another. We all have direct access to infinite loving-kindness. Practicing it on ourselves first is the only way to be truly loving to anyone else. Access the infinite, then become a conduit for it. Another student noticed how much time she needs to spend calming herself down to deal with a whirlwind of responsibilities. Well, first, great gratitude and celebration to have developed the resources to calm herself down. May everyone everywhere have those resources. Whatever skillful things we can do to take care of ourselves in order to manage our lives are to be appreciated. Kudos for having a regular practice and the ability to notice when a little time-out self-care is needed. Although this student has a uniquely complex array of details to manage in her work, all of us can relate to at least at times having to manage preparations for some upcoming event. We know exactly how heavily it all can sit on our shoulders, and how we can get caught up in living in that future time when the event is fully realized, rather than giving ourselves the gift of fully engaging in this moment. This makes us less able to do what we need to do, and more miserable about doing it. These kinds of projects often loom large and shadowy. We expend a lot of energy procrastinating and nagging ourselves about our failure to meet the challenge. The compassion and clarity that comes from regular meditation makes simply doing what we need to do much easier. It’s suddenly clear that we just have to break the work down into incremental bits and get to it. Finding the time to fit a project into an already busy life can be tricky. But assigning it a regular time slot in your day or week can help to formalize the process. If you have ever been on a meditation retreat, then you probably were assigned a yogi job, some small daily chore that contributes to the well-being of everyone. It might be chopping vegetables, sweeping a porch or cleaning a bathroom. It’s always a very specific task, and it’s easy enough to do in a meditative way. the showers used by the retreat teachers, so I shifted from proving my worth to expressing my gratitude. Fourth day I let go of all of that. I simply sensed into the movement of my arms and body wielding the scrub brush, sponge and spray bottle. Fifth day more of the same but also the awareness of being part of a continuum of shower scrubbing yogis who had all been here and would all be here day after day, retreat after retreat, for hopefully many years to come, scrubbing earnestly, dealing with their own range of thoughts and emotions. There was a sense of community, camaraderie and a relief that it wasn’t all up to me to keep this tile shining. And there was something about that that woke me up to what it is to be alive and to participate fully in life, whatever we are doing. Can we be fully present with the work itself? Can we see our own efforts as part of a pattern of dedication and even devotion? The work we do, and especially the way we do it, can be experienced as life loving itself through us. Whatever is arising in our current experience can be met in so many different ways. Pause and consider what challenges or struggles you are currently dealing with. How are you relating to the experience? Are you avoiding it? Making an enemy of it? Can you add compassion and clarity into the mix and see what happens? Please let me know how it goes! This entry was posted in inner exploration, metta, planning, retreat, work and tagged challenges, coping, stress on December 15, 2017 by Stephanie Noble.